A specialist Tool to export any number of EDB mailboxes to PDF file format quickly. To convert EDB to PDF file format, all mailboxes private data migrates to priv.edb like: emails, calendars, tasks, journals etc. while all your public or shared folders are stored in pub.edb file. 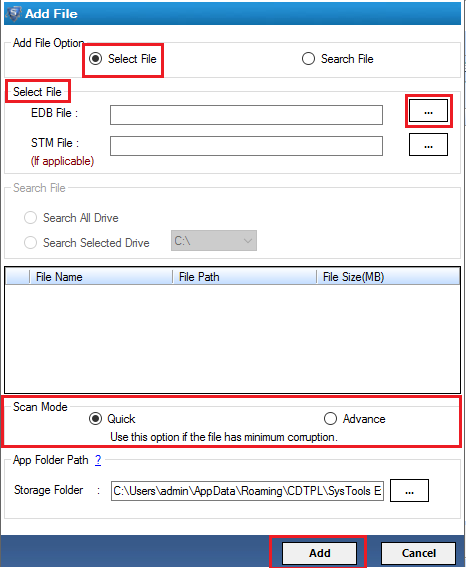 To convert EDB file to PDF user can also opt for searching options. All the emails from Exchange mailboxes can be converted to PDF file format. 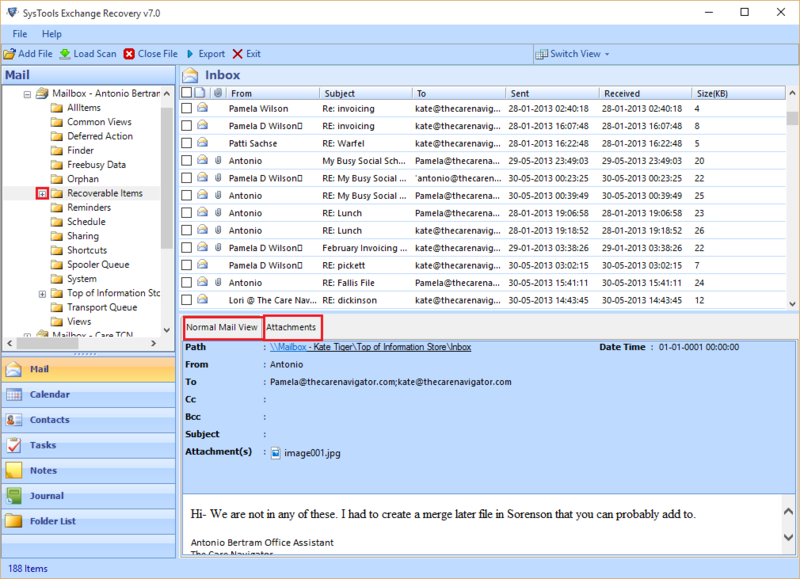 The software will save each email as PDF and save it in respective item folder. The emails will get saved in inbox, and the sent out emails will get saved in Outbox and so on. The Exchange to PDF software save the Exchange EDB files into PDF file format, you can then select the appropriate naming conventions available in the software to save the emails like: save file as subject, DD-MM-YY etc. To export EDB file to PDF the software offers a date based mail filter option to set date range to all emails by specifying “From date” or “To date”. With this feature of the software only those mails are converted which are mentioned in the mail filter option. To convert Exchange to PDF file format the software by default perform quick scan to scan minor corruption of EDB files. If file is majorly corrupted then software prompt to perform advance scanning to scan major corruption of file and then export EDB to PDF format. 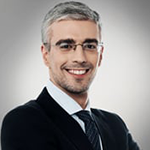 During the conversion process the complete internal structure is preserved i.e the structure of folders and sub-folders in EDB mailboxes remain intact after the migration of EDB to PDF. The software retains the folder hierarchy after the conversion process also. While viewing all items in the mailboxes, you can save selective items in PDF format. Then you can check or uncheck mailboxes or the items present in the mailboxes. At the destination, the software maintains the folder hierarchy and create all the folders that has been exported. To save the EDB file emails as PDF, the software allows you to choose the desired saving location. Otherwise, you can also create a new folder at any desirable location to save the file. You can also create a new folder directly from the software panel. Once the export process begins, the software generates a small summary report which shows number of selected mailboxes and path of exported exchange mailbox or the file which is created. You can also save this report as CSV for future refrence. Click on Add File button to add single or dismounted Exchange EDB file. Now, click on Browse button to navigate to the location where the Public (pud.edb) & private (priv.edb) files are stored. Note: If the STM file is on the same location where your EDB file is, then the software will automatically select the .stm file. Otherwise, you have to manually browse the location and add the file. The Software has one more option i.e Scan Mode (Advance & Quick Scan), where you can scan your EDB file. The software will scan the selected EDB file. A dialog box will appear confirming success of the scanning process. Select Normal Mail View to get the view of the selected email. You can also preview the attachments of the mail by selecting Attachment tab, the mail attachments will be displayed on the bottom right corner of the screen. Select single or multiple emails & then right click to Export the emails into PDF format. 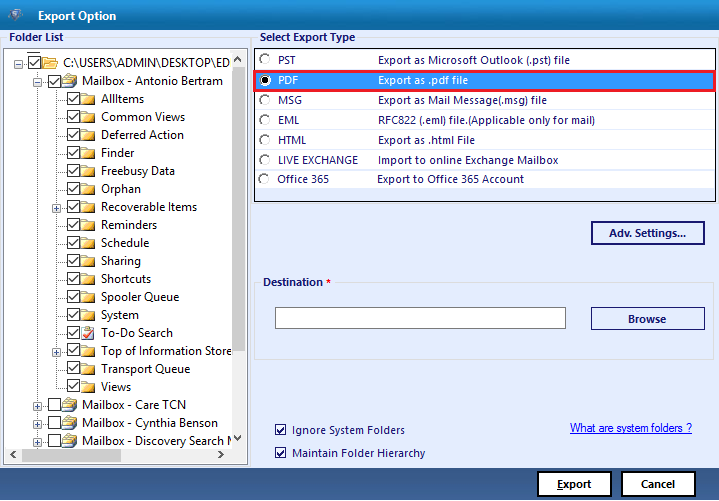 The software prompts Export option window providing us with Export As PDF option. You can also provide the destination location where you want to save your file. Click on Browse button to choose the path. An alert message window will appear as soon as the Export process gets completed. Click OK to proceed further. 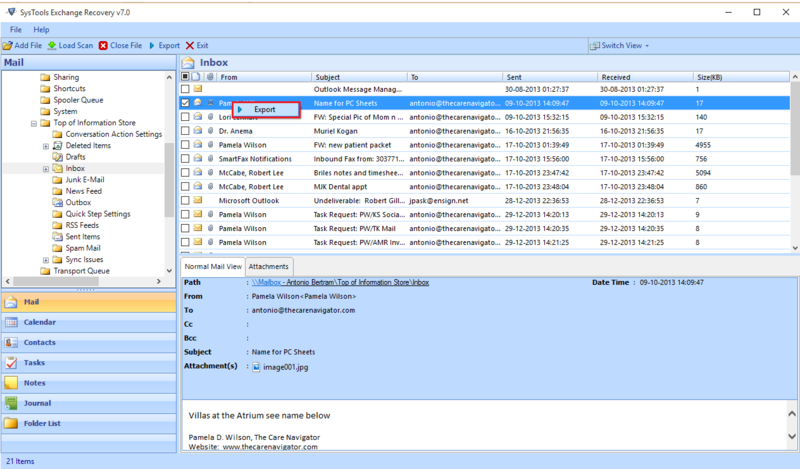 A window will appear showing the export report details of the migrated emails. You can click on Save button to save the report as CSV. 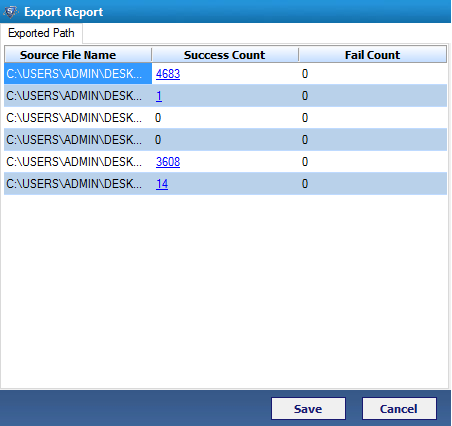 Select the desired location to save the generated Export Report. Can this software run on Windows 8 PC? Yes, you can install this software on Windows 8 as well. What is the estimation conversion speed at which this software works? Usually this software does not take much time to convert an EDB file to PDF format. However, the speed of the conversion process can depend upon the size of EDB file which has to be converted. What is the maximum size of EDB file which the tool can handle? There is no file size limitation for this software. The Exchange to PDF converter can process any size of EDB file into PDF format. 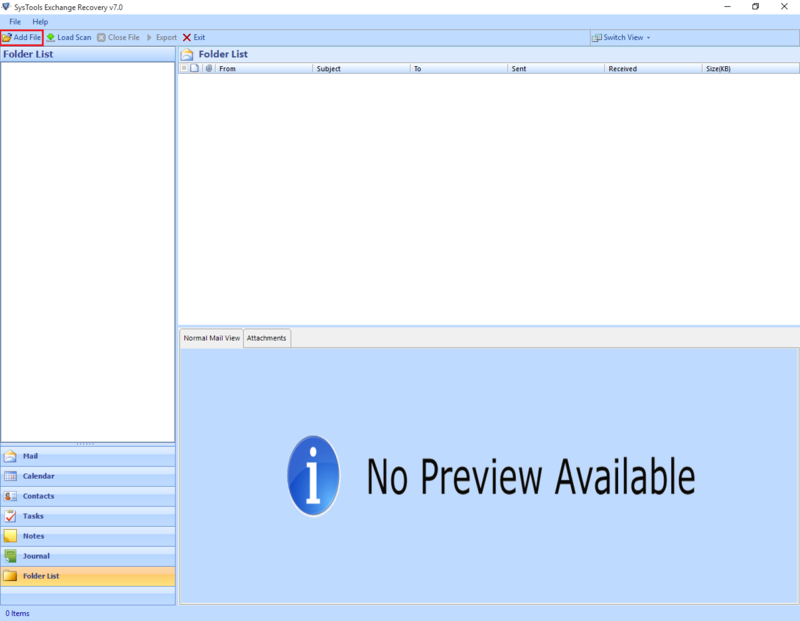 Can this tool convert mailbox & public folder of EDB file? Yes, you can convert mailboxes & public folders from an EDB file to PDF file format with this tool. The software will let you choose desired options accordingly. Is it possible for this software to convert email attachments into PDF too? No, the software only converts emails and items of other EDB components into PDF format. But the attachments of an email will be embedded within the respective PDF file in its native format. You can easily view the files by clicking on the “paper clip” icon in the PDF file & can download attachments on local machine in its original format. Can I convert EDB file to PDF without Exchange Server environment? Yes, you can easily migrate an EDB file without the need of Live Exchange environment. The software does not require Exchange Server installation. 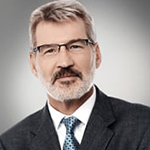 I was having inaccessible EDB mailboxes. The EDB to PDF converter has successfully saved my emails to PDF. The tool enabled me to convert all my emails from the Exchange mailboxes and help me save in PDF Format. Awesome Tool! Due to some legal purpose I was in need to convert my Exchange server emails into PDF format that time I found this EDB file to PDF converter. I’m very happy to purchase its personal license. If you want to convert EDB to PDF file format this tool is the best of all.